11 1/8 L x 2 3/4 W x 8 5/8 H in. 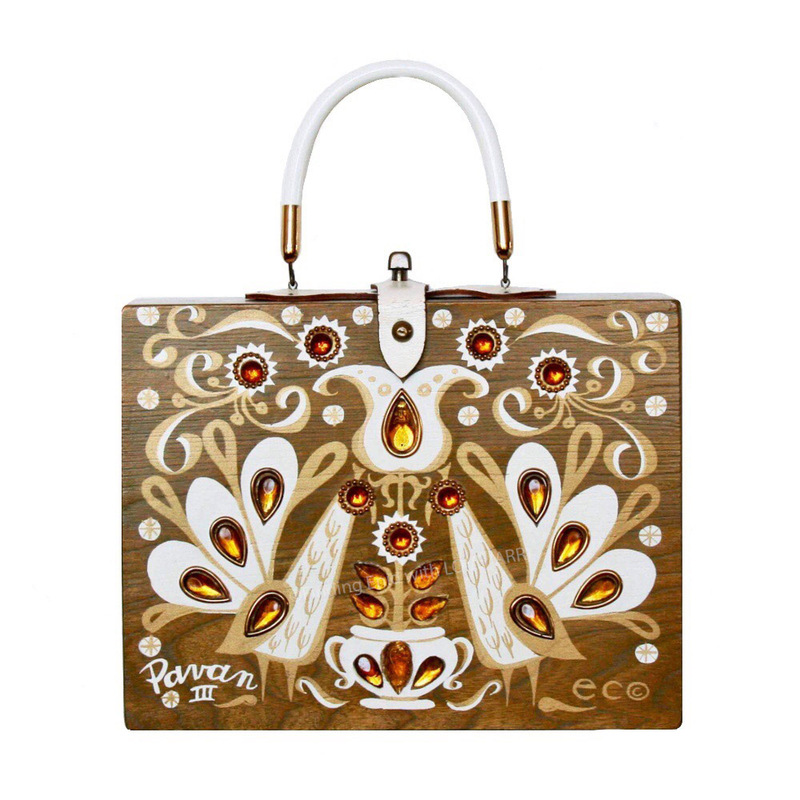 Box purse of warm-toned wood screen printed in white and metallic gold, depicting two peacocks in a mating dance, or "pavan" and surrounded with flowers and flourishes. Decorated with faux gems in amber and with antique-copper acrylic embellishments. "Pavan III" serigraph appears in lower left corner in hand-script cursive style. One of many variations on this theme. One of many variations Enid Collins designed on this theme.